Hey girlies :) how are you all? My bedroom is extremely cosy in the winter! Mainly because my bed is full of soft pillows which is the best feeling ever, and I like to light my 'pink sands' yankee candle as it smells gorgeous! 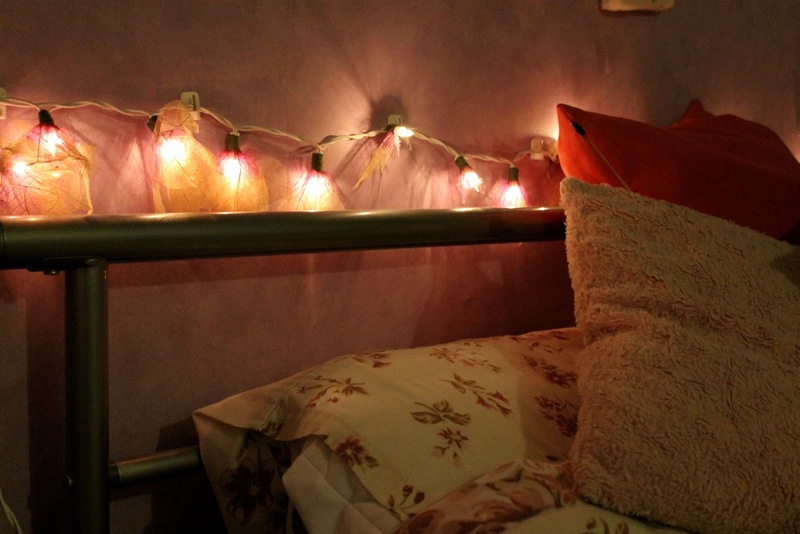 I also love the fairy lights around my bed, I've had them for about 2 years now and got them for christmas and I love them because they're different to the usual ones. They're actually fabric flowers and are a really nice texture, I also love the colour because it matches my room and bed covers! :) Above my bed I have fabric lettering spelling out 'Love' (from the Range) which I got for christmas last year, I always ask for little things for my room and this was one of them! It just finishes it off perfectly and I think it's really pretty! I also wanted to show you guys my heart shaped jewellery holder, I've had this for years now and I love it! I have another whole jewellery box and another little holder as I own waaaaay too much jewellery and I definitely need a sort out haha! 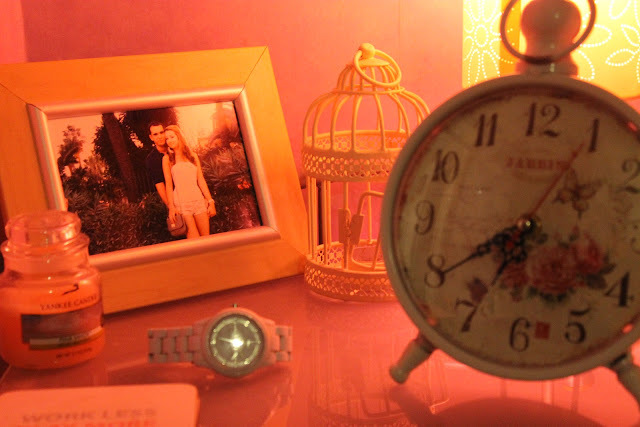 I also love my bedside table, it's sooo cosy and it all matches which I love :) Sorry if I've completely bored you all with this post, but I wanted to post something different and more personal, hope you like it! SO cozy. I wish my room looked like this! 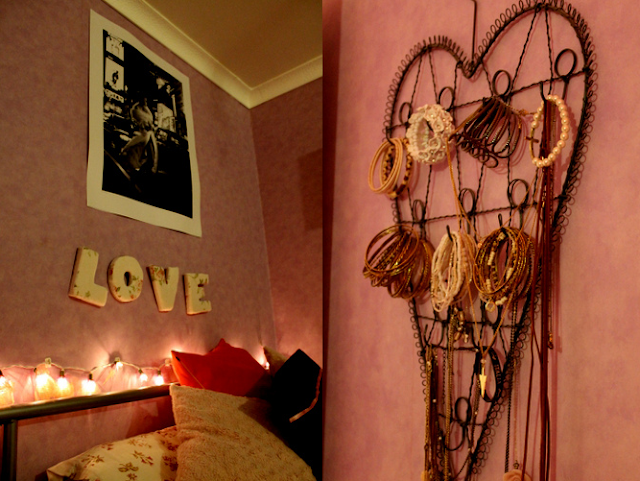 Love your room, its beautiful!